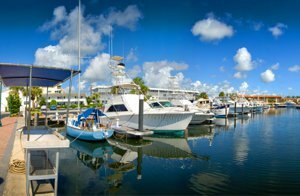 North Palm Beach Florida is a beautiful Florida community that has evolved from humble beginnings to a luxurious, beachside community. Today, the community is known for its well-developed neighborhoods, abundance of recreational services, and family-friendly community. North Palm Beach is a wonderful community to raise a family in, and the real estate market here reflects this. Real estate in North Palm Beach largely consists of single-family homes on spacious lots. Homes offer diverse surroundings and views, from waterfront to golf courses. Luxury homes are in abundance, located in upscale neighborhoods and featuring wonderful amenities like private pools and personal marinas. The North Palm Beach Country Club is a central part of this wonderful planned community. The public club is home to Jack Nicklaus Signature golf course, perfect for golf enthusiasts who will enjoy this premier Florida course. This well-loved club is also home to a tennis center, Olympic-sized swimming pool, and restaurant, with something for the whole family to enjoy. North Palm Beach’s recreational offerings go beyond the famous country club. This community offers a diverse range of activities for residents of all ages. A number of parks, recreational facilities, and public pools are found within North Palm Beach. The community’s beautiful beaches are the perfect place to spend the day. Whether you like surfing, fishing, or simply enjoying the feeling of the sand between your toes, there are many ways enjoy the beaches here. With so many ways to keep active, spend time with friends, and enjoy the Florida sun, it is easy to see why so many have found a home in North Palm Beach. 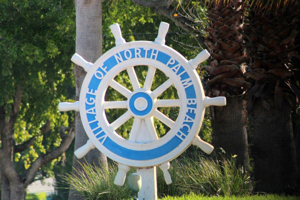 North Palm Beach prides itself on its motto, “The Best Place to Live under the Sun.” With so many community events, the village is certainly a wonderful place to live. Events range from kid-friendly holiday parties to arts and crafts festivals where you can find unique, locally crafted treasures. 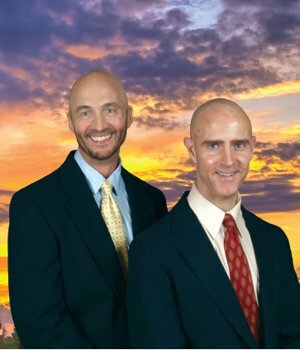 Residents of North Palm Beach are served by the School District of Palm Beach County. Nearby public schools include Palm Beach Gardens Community High School, which is well known for its athletic and magnet programs. There are also several well-established and high achieving private schools in the area, for parents who prefer alternatives to the public education system. North Palm Beach is a wonderful Florida community that has come far from its modest beginnings. The community is known for its thoughtfully planned subdivisions and beautiful homes, which are surrounded by a vast range of recreational opportunities. With a popular country club, great community events, and great location, North Palm Beach is a truly wonderful place to live.